So, you’ve learned how to attract your customers and turn strangers into visitors with your Inbound Marketing strategy. The next step you must take is to turn those visitors into leads. 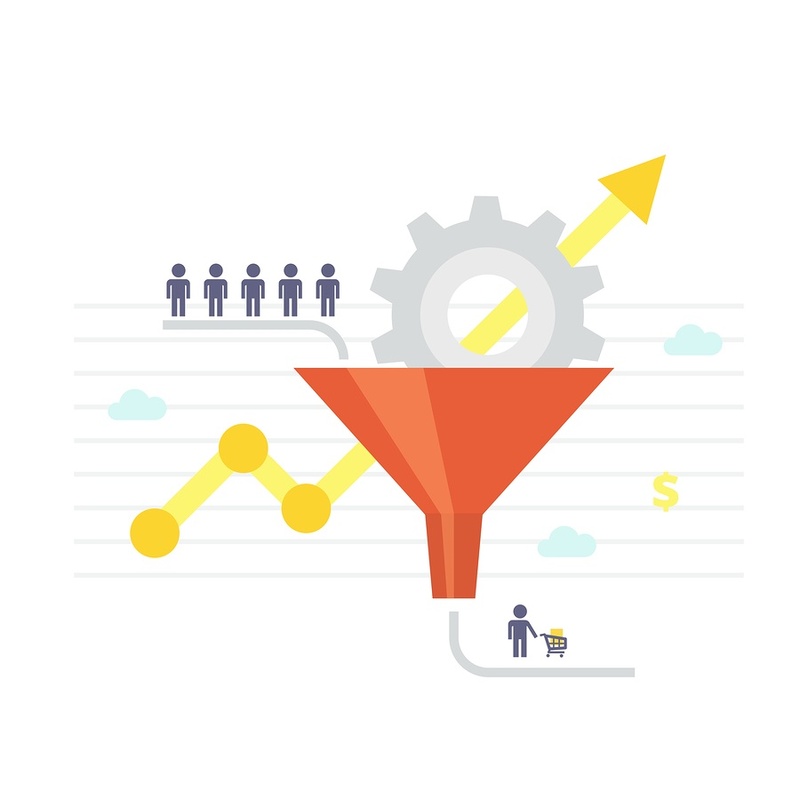 To do this, you must continue to provide these leads with pointed, relevant information that will lead them towards a conversion. This is known as the Convert phase of the Inbound Methodology. In the first phase, Attract, we were focusing on proving to potential customers that you understand their problem and know how to solve it. You were not focusing on selling your company or services to them; you merely want to educate them on their problem and provide valuable information towards solving it. In this second phase of the methodology, Convert, you are now focused on turning these new visitors into leads. To do this, you must now prove that you not only KNOW the solution to their problem, but that you HAVE the solution to their problem. How Do I Prove I HAVE the Solution to Potential Customers’ Problem? During the Attract phase, you provided the potential customers with information via blogs, social media, and paid search. The Convert phase builds off of these channels. Social media posts, blogs, and paid search, if done correctly, will lead your potential customers to your next channels of communication - the Convert channels. How Do I Use These Channels to Convert Customers? The goal of the channels used during the Attract phase is to drive visitors towards the Convert channels. Once there, these channels can be used to provide more information which will then cause the visitors to become leads. Each channel serves a different purpose to converting visitors to leads. Web Design is an extremely important part of the Inbound Marketing methodology. No matter how many blog posts, social media posts, emails, or any other marketing tactic you use, people will always end up back at your website. Because of this, your website MUST become the centerpiece of all your marketing activities. It must not only look beautiful, but also function beautifully. You must create a website that is high-converting. This is accomplished by creating a buyer persona and tailoring all your marketing activities (CTAs, Downloads, Offers, etc) on your website to meet the needs of that persona. People come to your website because you have convinced them you KNOW the solution to your problem. A well-designed website will serve to convince them you HAVE the solution to their problem. This will convert the visitor into a lead because they will want to learn more about the solution you have to offer. If your product or service is sold through an eCommerce platform, you have a great opportunity for conversion right on your page. Take advantage of this by creating a well-thought out website that takes into account your buyer persona. eCommerce websites should never just be an online category for your products. They should have as much mindful strategy behind them as any other business website so that it is specifically tailored towards your target audience. It should take into account the way your audience will search, the items that will be most important to them, the checkout process and more. eCommerce websites have the luxury of putting the solutions to visitors’ problems on the page right in front of them - however, the site still need to be high-converting to take the visitors to the next step of becoming leads. Landing pages are another way of proving to visitors you have the information they need. When you run a social media ad or a paid search ad, landing pages are the perfect next step to getting your visitors to convert. Instead of taking them to your home page where they will have to search through your entire site to find the information they need, you take them directly to a landing page with the promised information. These landing pages usually have some sort of form to gain contact information from the visitor so they can become a lead. In exchange for this contact information, the landing page provides them with the valuable information they need to solve their problem. 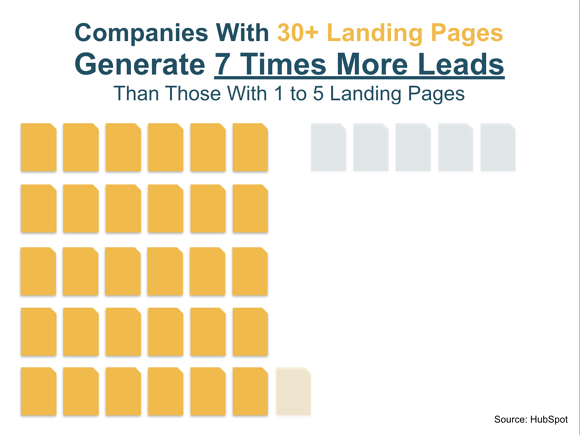 In fact, studies show that the more landing pages you have, the more visitors you will convert to leads. This is because your landing pages provide specific and relevant information that is tailored directly to your target audience and your visitors’ needs. The more specific valuable information you can offer people, the more visitors you will convert to leads. After you’ve attracted your potential customers, you must continue to give them information so they can convert to leads. However, people still do not want to be sold to at this stage. You cannot bombard them with advertisements or hard sells that your product or service is the best. You must instead use Inbound Marketing to prove to them that you have the information they need to solve their problem. During their research, they will learn from your website, your eCommerce site, and your landing pages that you can help them solve their problem. Because you have provided them with valuable information instead of selling to them, they will be more willing to give you their contact information in exchange for an answer to their problem. Congratulations, you’ve just completed step two of the Inbound Marketing methodology and turned your visitor into a lead! Marketing strategies are nothing if you don't have the numbers to prove they're working. Download our Marketing Metrics Calculator to get the numbers that matter!